The Indiana Department of Environmental Management (IDEM) and the Indiana Volkswagen Environmental Mitigation Trust Fund Committee (Committee) are soliciting applications for the first round of the Indiana Volkswagen Environmental Mitigation Trust Program’s grant funding. An example of type of qualifying projects is the replacement of older, higher emission diesel garbage trucks with newer, cleaner, compressed natural gas (CNG)-powered vehicles. The program will distribute awards ranging from $50 thousand to $2 million. Total available funding in the first round is $9.83 million. Grant money will be awarded to clean air projects that significantly reduce diesel emissions across Indiana. Public and private entities may submit applications, and the Request for Proposals (RFP) deadline is June 17, 2019. Application information can be found at www.idem.IN.gov/vwtrust. Questions about the RFP process can be directed to Shawn M. Seals, IDEM Senior Environmental Manager at [email protected]. 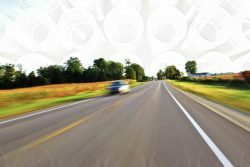 The Indiana Volkswagen Environmental Mitigation Trust Program is a statewide program supported with funds from Indiana’s portion of the national Volkswagen Mitigation Trust Fund. The program is focused on equipment and vehicle repowers and replacements with newer, cleaner alternatives of various fuel types. The Committee will select projects by August 2019 with funds awarded soon thereafter. On September 6, 2017, the United States filed its Notice of and Memorandum in Support of Its Unopposed Motion for Court Approval of Finalized Trust Agreements. (“Motion for Approval”) The Court approved the Trust documents shortly after the filing. This Environmental Mitigation Trust Fund is the result of a Consent Decree between the U.S. Justice Department, the Volkswagen (VW) Corporation, and its subsidiaries addressing the installation and use of emission testing defeat devices in over 590,000 2.0 and 3.0 liter subject vehicles sold and operated in the U.S. beginning in 2009. The settlement requires VW to pay $2.9 billion into the Environmental Mitigation Trust Fund, to offset the excess air pollution emitted by the VW vehicles that violated the Clean Air Act. Indiana expects to receive $40.9 million from the Trust in, at least, three annual installments starting in 2018, with all funds being fully disbursed by 2028. Pursuant to the terms of the Mitigation Trust, eligible projects to reduce NOx emissions from diesel-powered vehicles and equipment will include replacement and repowering of existing diesel vehicles or equipment with cleaner alternatives serving the same purpose.